Your advertising campaign should be eye catching and exciting. Quit using ineffective and boring pens to advertise your business. Instead get something that all tech savvy people will enjoy, a custom USB. 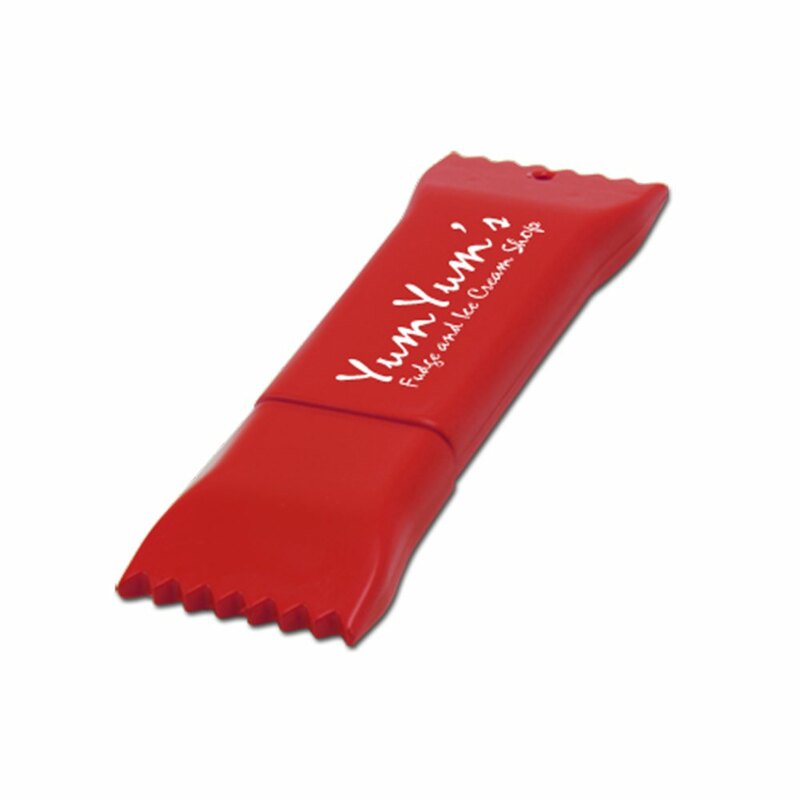 Out candy bar custom USB is great for caterers, restaurants, bakeries, or bars. Your eye catching candy bar USB will make a unique conversation piece and will stick out in the minds of your potential clients. This candy bar USB would be very popular with teenagers, young adults, and everyone who does most of their work on a computer. Give these away at your establishment or for a promotional event, so that you can get your name out there. People will carry your logo with them when they go to the office, the coffee shop, the library, and to school. We offer these branded USBs with multiple storage capacities and a variety of different colors. 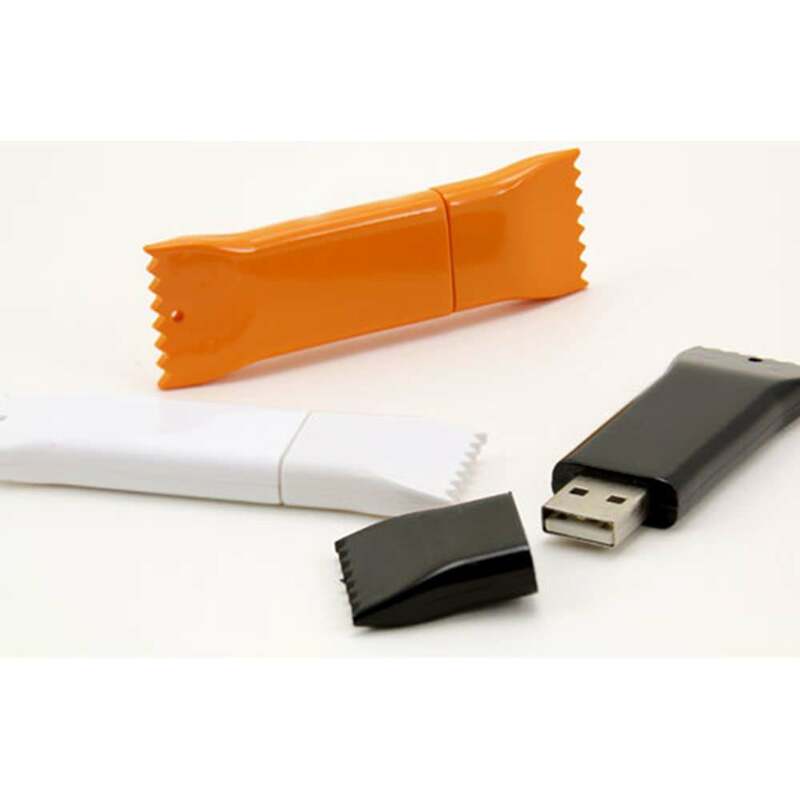 Order some of these fun candy bar shaped USBs and have the customers start coming to you. Sweeten the deal with this Candy Bar shaped promotional USB drive. This memory stick is perfect for drawing in and keeping customers around. They are brightly colored and evoke warm, fuzzy feelings. The USB port, which comes equipped with either USB 2.0 or 3.0 transfer speeds, is protected by the matching cap which completes the candy wrapper form. Choose from a variety of fun drive colors and storage capacities to suit your custom printed logo or artwork and the needs of your clientele. Ideal for bakeries, sweet shops, and much more.